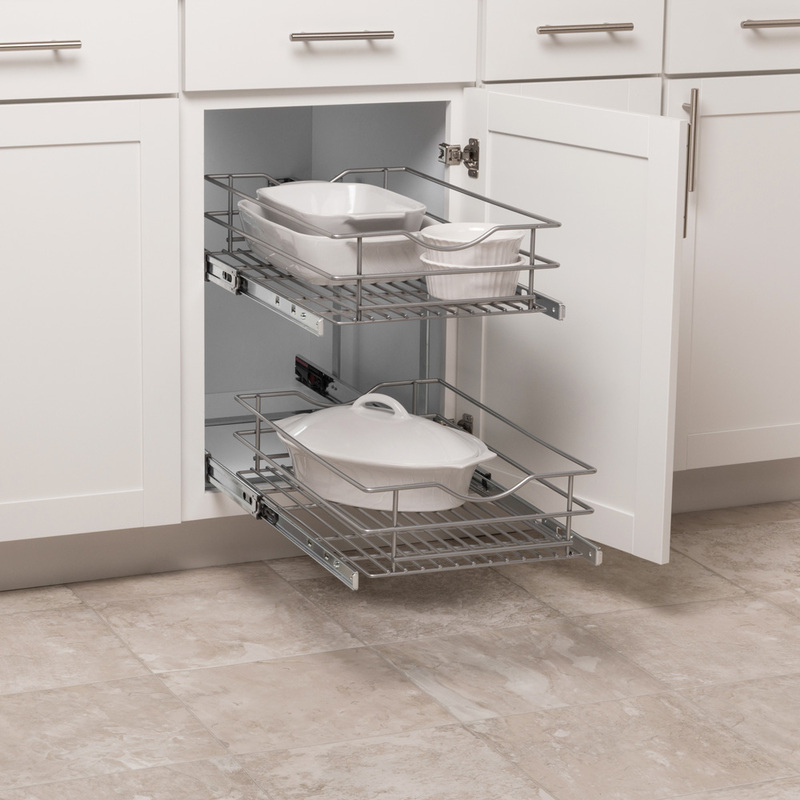 Calm the chaos in your kitchen, bathroom or laundry with our double-tier pullout cabinet organizer. This simple weeknight project is quick and easy to install. 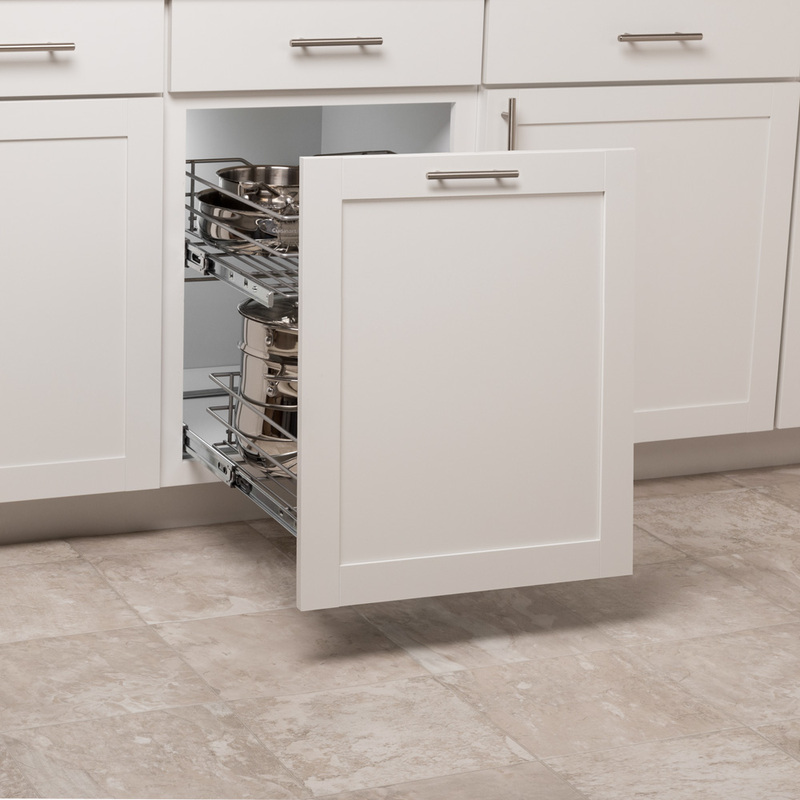 Dual baskets open smoothly and close softly. 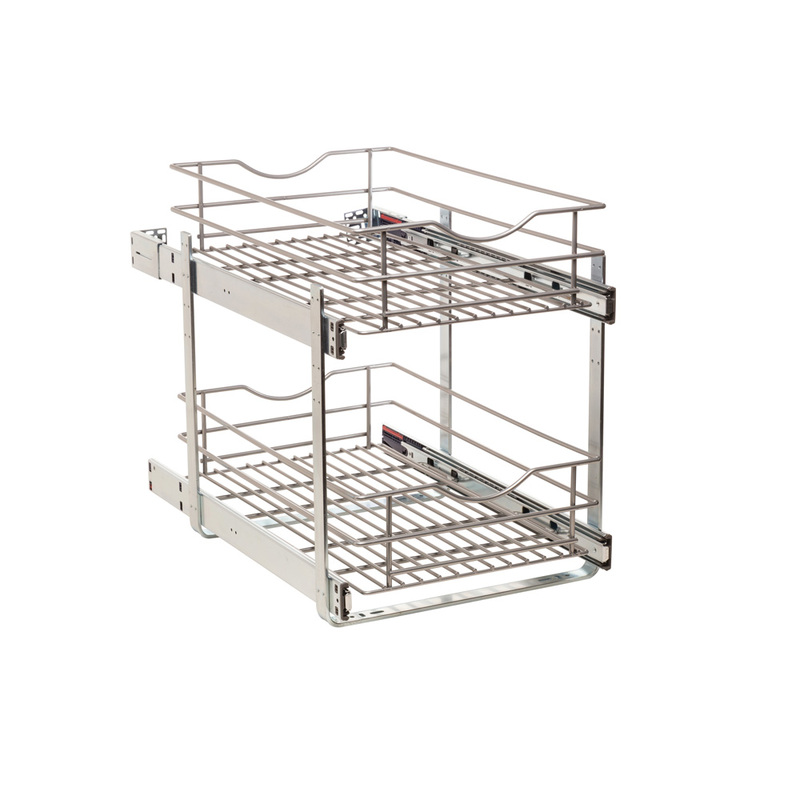 Top basket adjusts up or down; both baskets slide separately for easy access. Ideal for craft storage, pots and pans, more. Works best with our Door Mounting Kit, sold separately.